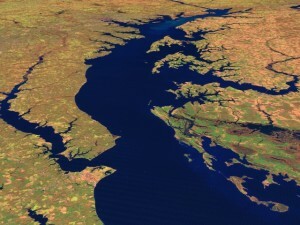 Welcome to the home of Chesapeake Bay Nutrient Land-Trust (CBNLT). Tomorrows Natural Resources Today. CBNLT provides innovative solutions for today’s natural resource issues. CBNLT is the leading provider of non-point source nutrient credits for the state of Virginia. You may be asking yourself what are non-point source nutrient credits? Non-point source nutrient credits are on the ground proven methods of nutrient reductions. These credits have been quantified, qualified, and approved by the Virginia Department of Conservation and Recreation as well the Virginia Department of Environmental Quality. Non-point nutrient credits currently provide development projects that are facing stormwater quality requirements with a cost-effective alternative to manufactured treatment devices. Potentially reducing nutrient-related water quality costs by 30 to 40 percent.